If you’re new to jewellery making and you’re interested in learning how to use metal stamping tools, you’re in the right place. Take a look at our video, where we explain our top five metal stamping tools and read on to find out some of our top tips when it comes to metal stamping techniques so that you can stamp your next piece, safely, and with a personal touch. What are our top 5 metal stamping tools? Using stamp straight tape is a really quick, easy way to line up your stamping designs. For example, if you’re stamping a person’s name on your metal, simply use a stretch of tape across your metal and it will keep each letter nice and straight. That way, you don’t need to worry about accidentally slipping or leaning at an angle, resulting in a slanted design on your piece. A bracelet bending bar is a simple tool that allows you to bend metal strips easily with no fuss, into a bracelet shape. It can be used for bending metal strips up to a maximum of 1 1/2″ wide (3.81cm), and is also available in a kit containing aluminium cuff bangle blanks. To use, simply place your metal strip onto the curved end of the bending bar, and twist your metal strip over the curved edge a little further than 90 degrees. Repeat this until you have your ideal bracelet shape. You can then use a set of jewellery making pliers to perfect your bracelet. If you’re new to metal stamping, you might be nervous about using quite a weighty jewellery hammer, in case you accidentally flinch and slip in the process and hit your fingers. Sound familiar? Not only is this dangerous, but it will cause uneven impressions. Instead, use a strike jig. You’ll find them in a range of sizes, including 3, 4, 6 and 9.5mm. 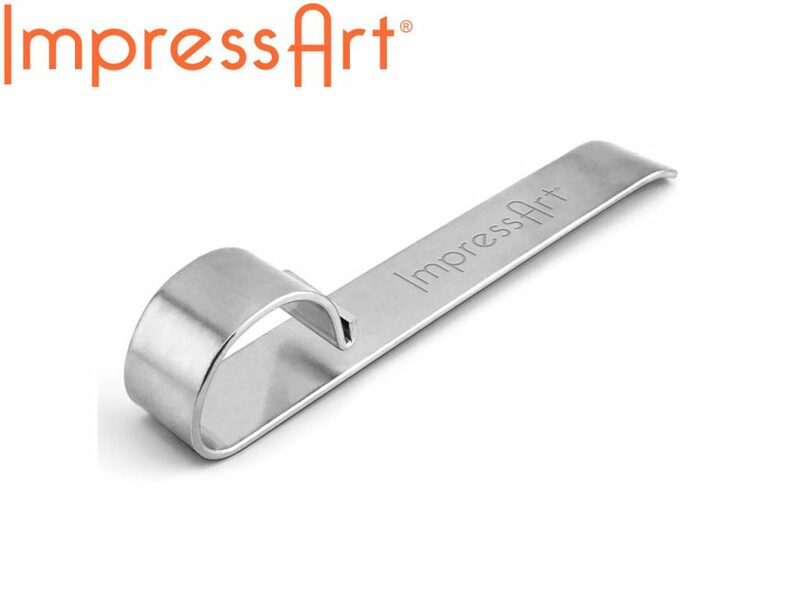 You’ll need to line it up, slide your stamp into it and grip it securely with your fingers. Then, you can use your jewellery hammer to make your impression safely. When you create your impressions on your piece of metal, you’ll want to be able to clearly see your design as an end result. 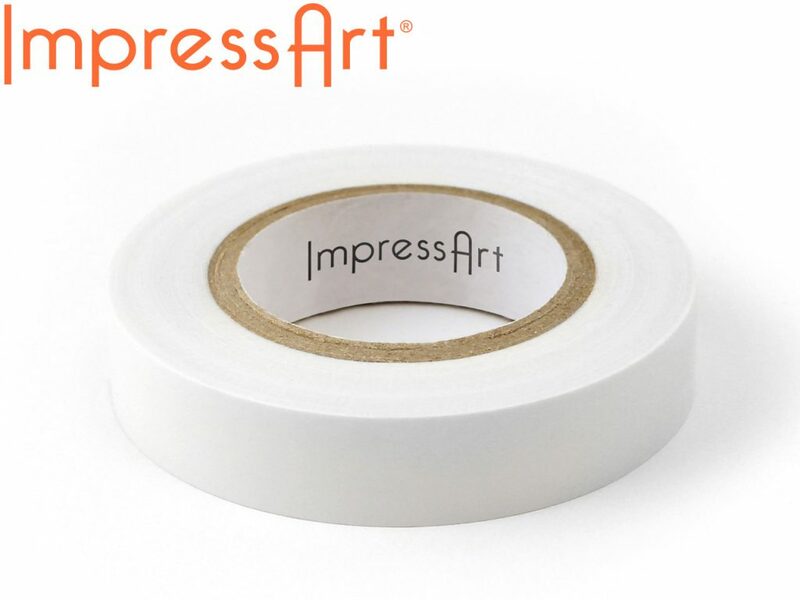 ImpressArt enamel ink allows you to do exactly this. You might have used a Sharpie pen to do this previously, but this only works on certain types of metals. And, as you progress, you’re likely to want to experience with different colours, just as other jewellery makers do. 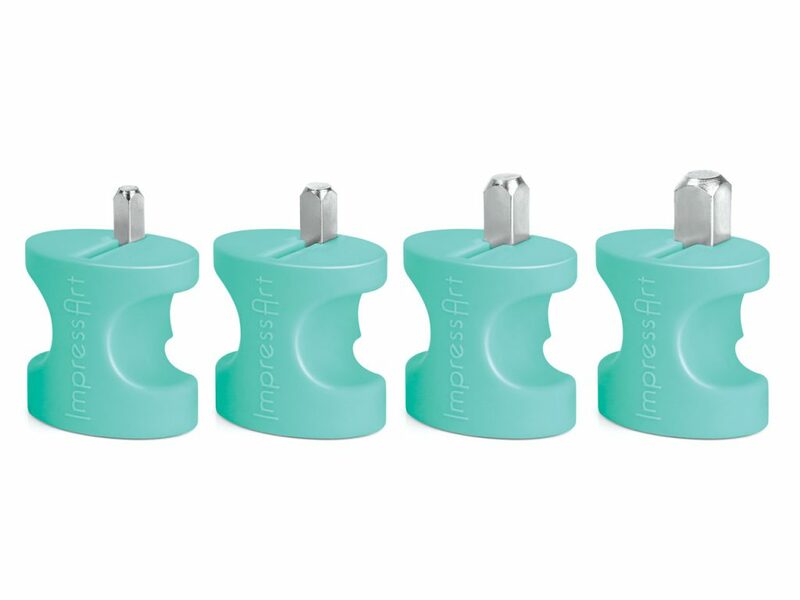 If you’re a newbie to metal stamping and you’re not sure how to hand stamp jewellery, the ImpressArt metal stamping kit could be your first steps to becoming an expert. Inside it, you’ll find all of the key tools to get started, including your jewellery hammer and a steel block. 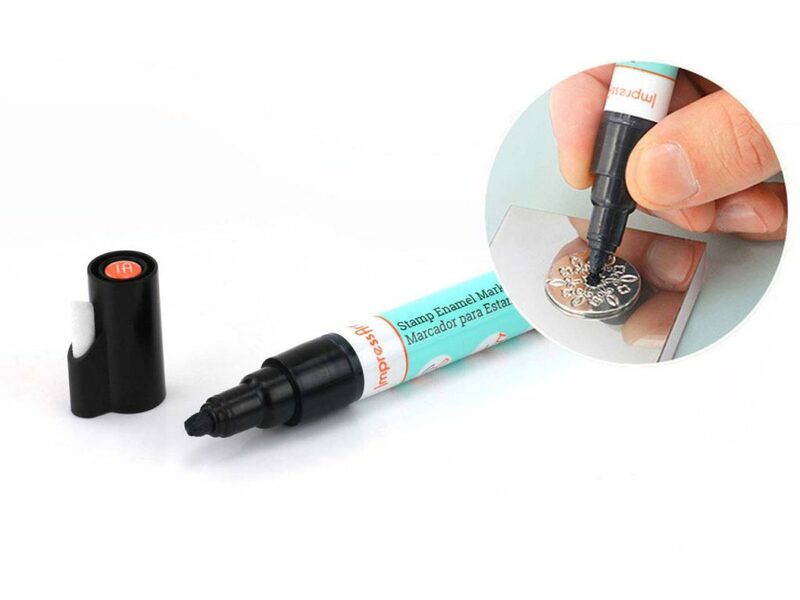 You’ll be creating custom stamp jewellery designs in no time! Now you know more about how to use popular metal stamping tools, you are ready to start stamping and personalising your jewellery pieces! 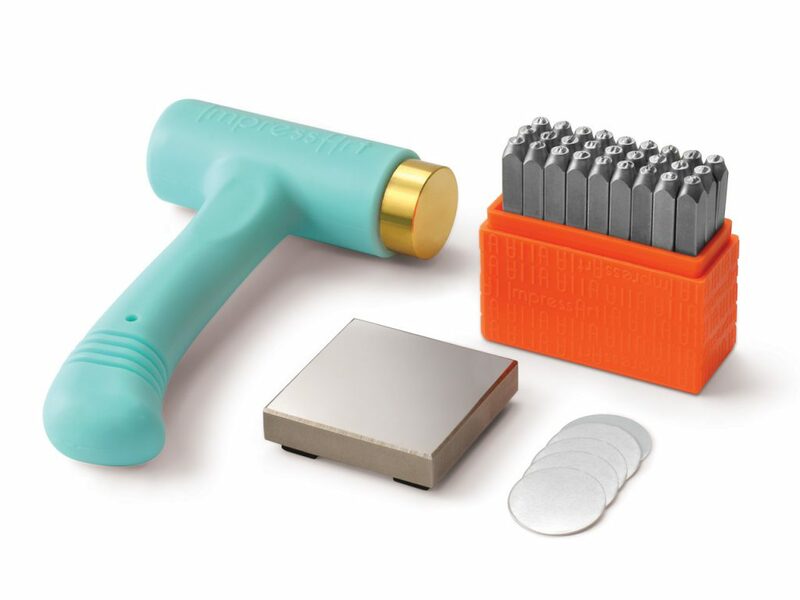 Find these and all of your other metal stamping tools and accessories at Cooksongold, which are available to order online today.